Welcoming a little bundle of joy is certainly an exaggerated feeling. However, when you learn that your child is physically or mentally disabled, you may be overwhelmed with roaring emotions. It is definitely a heartbreaking situation in a parent’s life. Many parents fail to prepare themselves and prepare the child to meet the world with courage and confidence. Knowing about the child’s disability simply shatters the parents. Knowledge, intervention at an early stage and care with clear ideas will help you and your child lead a happy life with no regrets. Yes, you need a proper support to raise your children. It doubles when your child is physically disabled. Stay in tune with someone who guide you, offer you proper advice and understand the condition you are going through. It can be from your family, your friend circle or even social circle. When you have the positive feeling, ‘Oh I’m not alone’ oozes you with confidence. Also, you would need physical support from your family. Just stay away from negativity! Raising a disable child is indeed a difficult task and you have to travel through a number of negative talks and discouragements. There can be negative feelings of blaming; there can be negativity of disappointment; fear over future; overloading with too much information and much more! The negative emotions will definitely lowers your confidence level and make you weak! All you can do is just avoid the people who let you down. Or simply, try not to indulge with the people who carry negative talk on your child. Bring out positive vibrations to surround you to make your family bond stronger. A disabled child definitely needs a little more extra care and attention from the parents. You have to spend quality time with your gifted baby. The disable child may behave odd. You have to stay patient and think a lot how you will handle the situation without hurting the child. If you need, you can seek suggestions from your physician or consult a specialist. Encourage your disabled child generously and celebrate every progress. 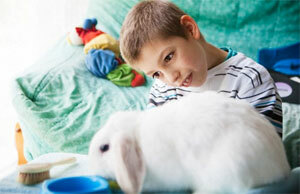 What you can do to provide a better life your disabled child? Talk to your pediatrician or physician whether you can improve the condition. For instance, getting vision for a blind child, improving autism, etc. Don’t ever try to compare your child, because disabled children are gifted ones. Identify the hidden talent your child posses. 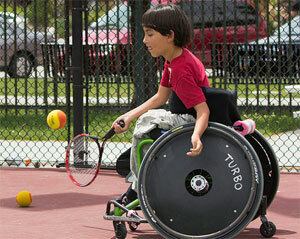 Every disabled child, irrespective of the degree of disability, carries a hidden talent by inheritance. Befriend the people who have a child with similar disability to gain knowledge and share experience. Don’t panic and don’t just think about disability. Enjoy your time with your little one without thinking about the disability. Time will help you and your child get better.